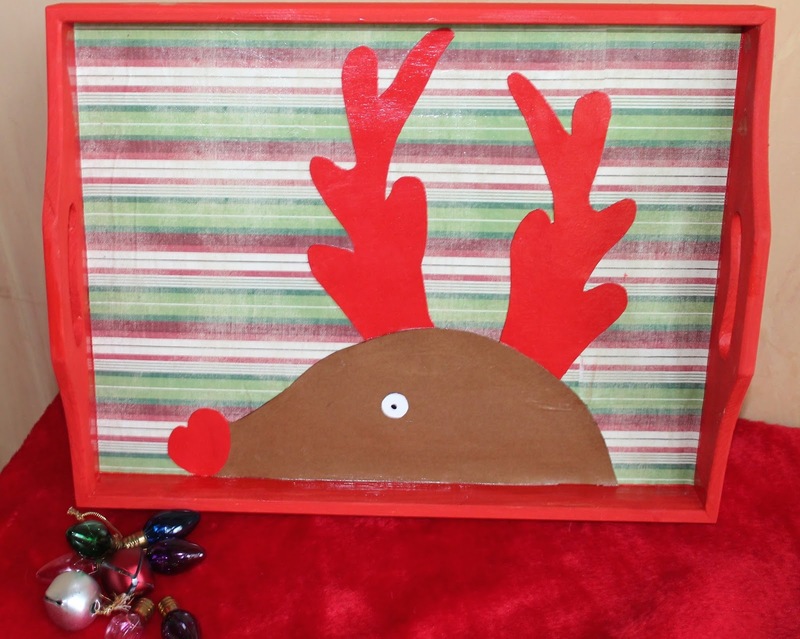 For the reindeer tray, I painted the tray Christmas red and created my own stencil. Click here for the face/nose and here for the antlers. I cut a small circle and added the dot with a black sharpie for the eye. 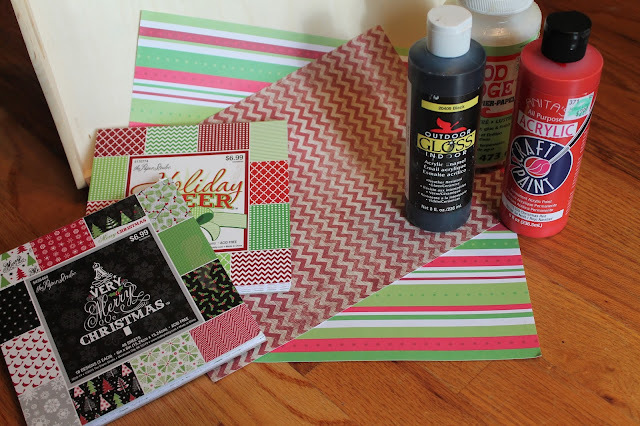 I selected scrapbook paper for my background, and used Mod Podge to secure the background and my design. 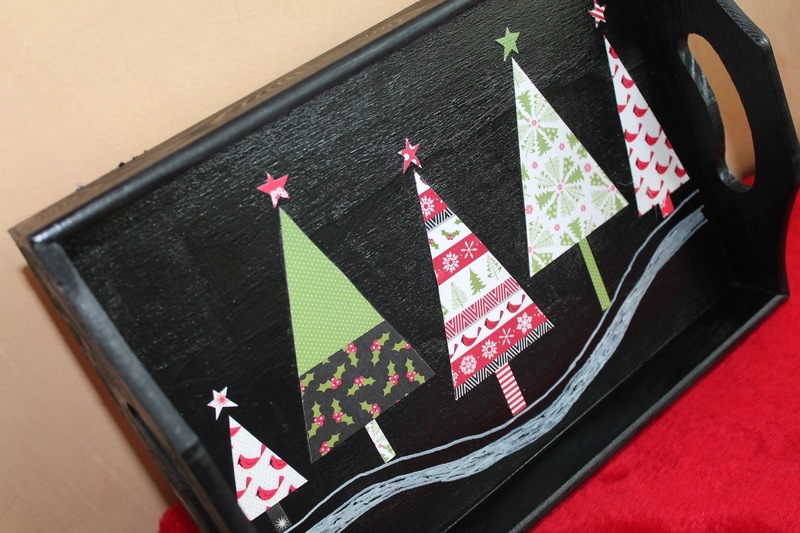 For the Christmas tree tray, I painted my tray black. I used a white Sharpie oil base white pen to draw the white lines. 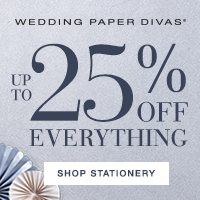 I cut out different size triangles to use as my stencil and then cut scrapbook paper to fit into the triangles. I used the scrapbook paper for the tree trunks and Christmas tree stars. And, again, I used Mod Podge to glue down the design. 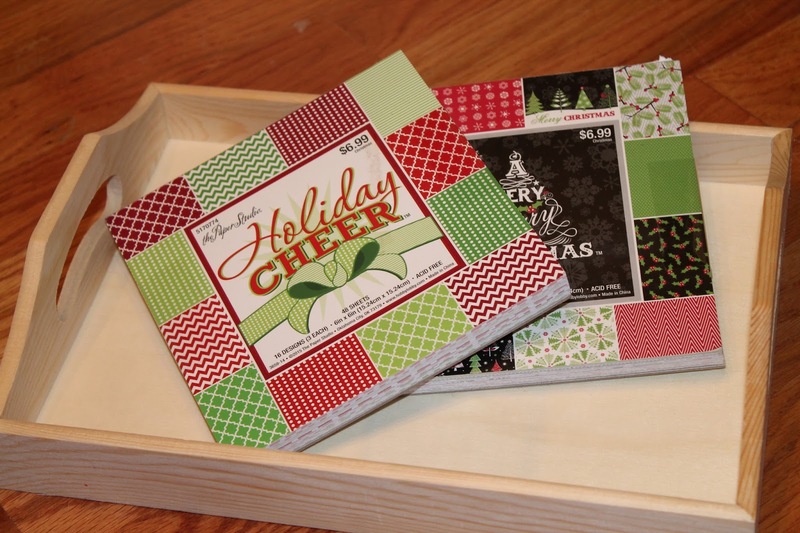 I think these would make great and inexpensive teacher gifts! ENJOY! And, keep surfing, pinning, and creating!